Looking for great places to eat with activities to do? Take advantage of these restaurants with free pool access! 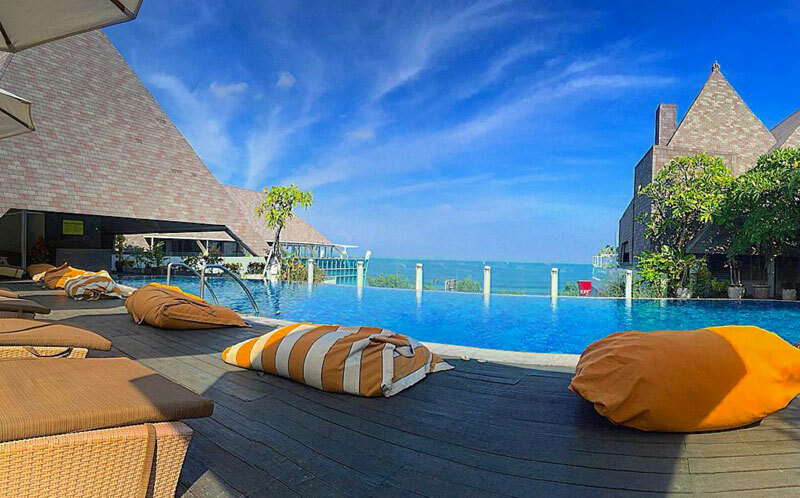 Whether you’re out for a date, or bringing the kids along – these 11 restaurants not only offer up delicious cuisine, but a fantastic excuse to have a lazy day lounging by the pool. Piqued your interest yet? 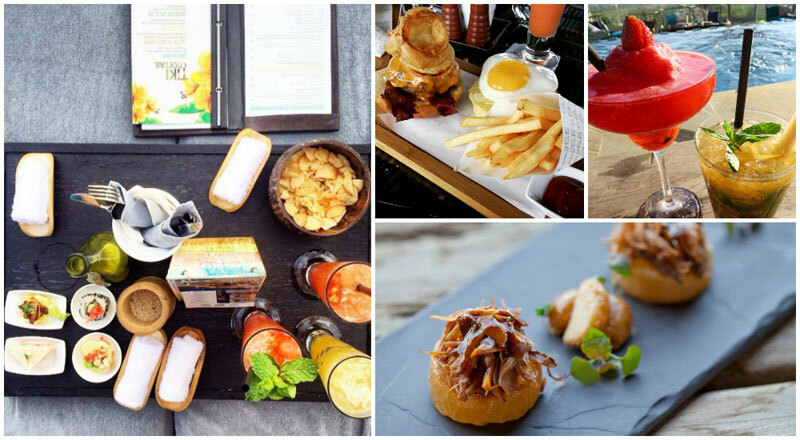 Here are 11 of the best places to dip-and-dine! 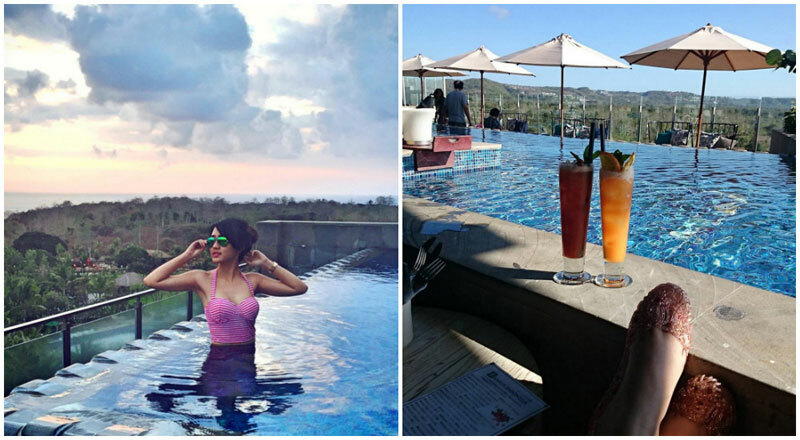 Rooftop and poolside bars may be for the younger souls who’d like to spend the night partying, but for those who would like a different taste of dine and dip – we’ve got you covered. Most hotels and restaurants that offer free pool access tend to have quite a humble-sized pool, and you may have to share them with others. However, if you’re looking for something more natural, and a more audaciously-sized pool – a visit to La Joya is maybe what you need. 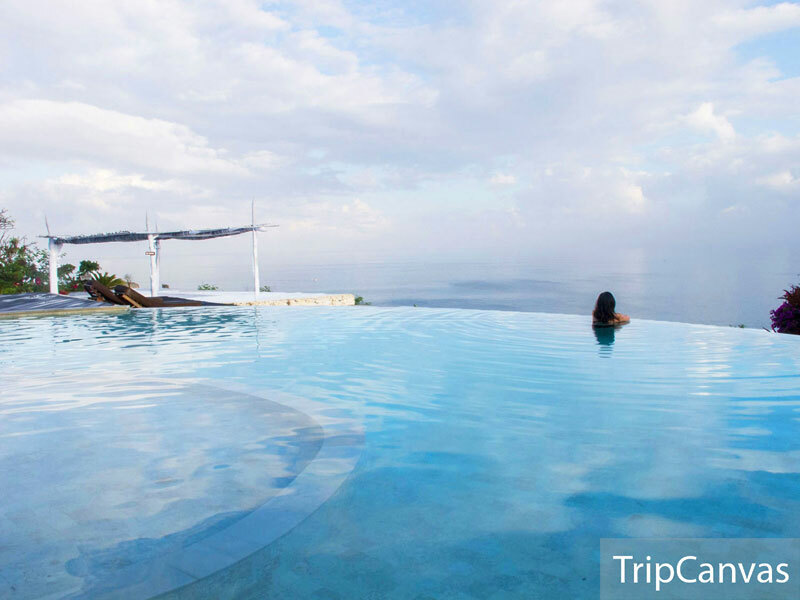 There are 2 infinity pools that are perfect for both families and couples. 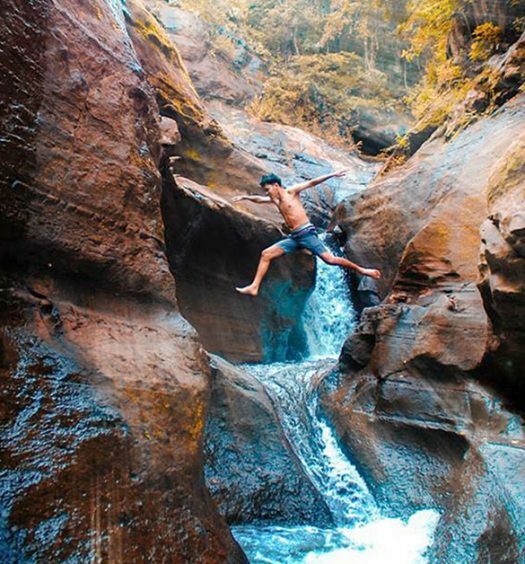 Taking it a notch higher, you may also enjoy a Yoga class for approximately USD $8 at the pools! La Joya’s pools are great for a quiet and relaxing swim, away from watching eyes. The extravagant pools is almost too good to be true, and the vastness will surely leave you tired but satisfied by the end of the day. 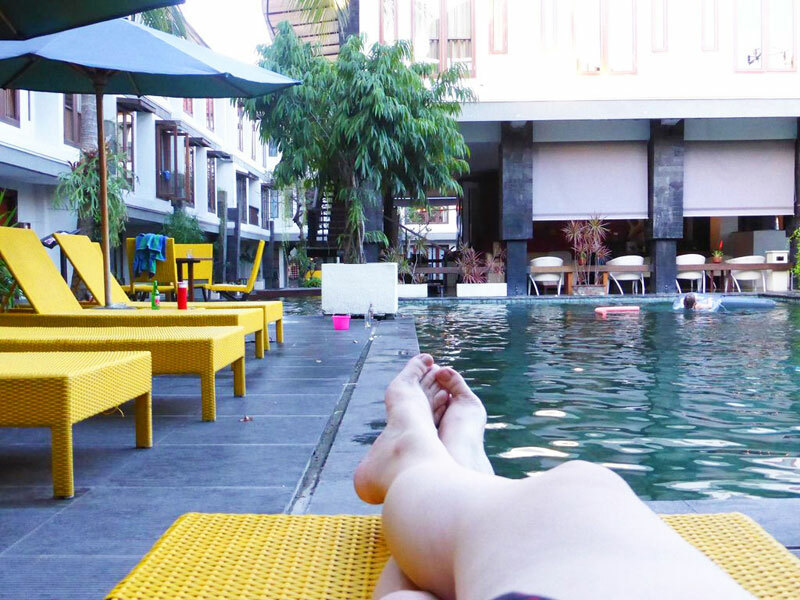 The pools at La Joya are free for use, even if you don’t stay there – as long as you spend Rp.250,000 (approximately USD $19). You may find the minimum spending required baffling, since most bars and restaurants offer free pool access without minimum spending – however it makes sense when the pools at La Joya provide a truly enchanting space to relax. The restaurant offers both local and Western food, and you may want to try their frequently-mentioned delicious fresh fruit juices too! If you haven’t yet read our review about AYANA, here’s a small preview. 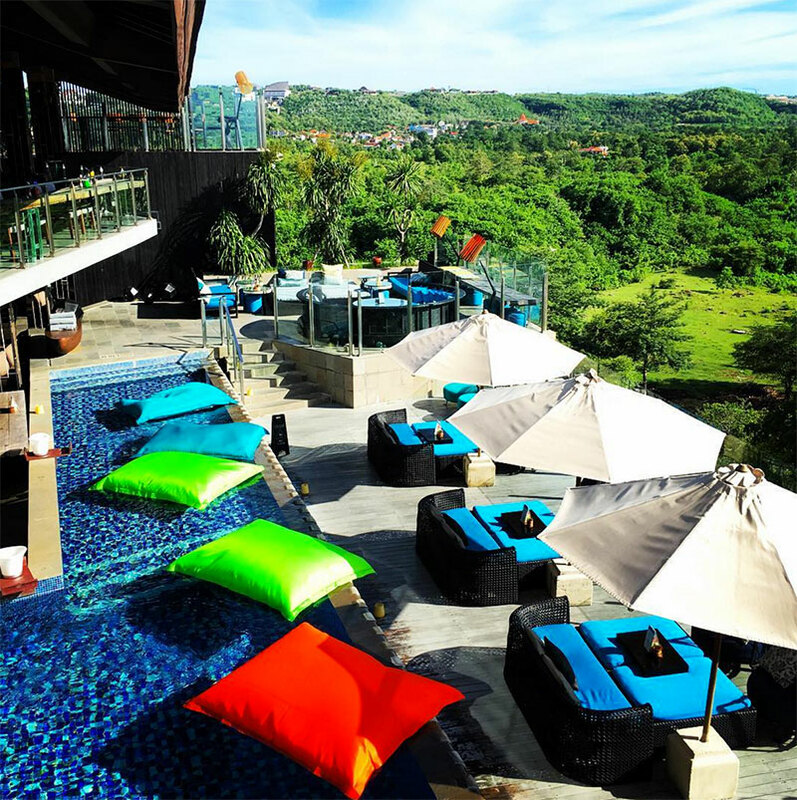 Introducing UNIQUE Rooftop Bar, one of the many places to eat in this mind-blowing integrated resort which houses 3 different resorts, AYANA, RIMBA Jimbaran, and The Villas at AYANA. 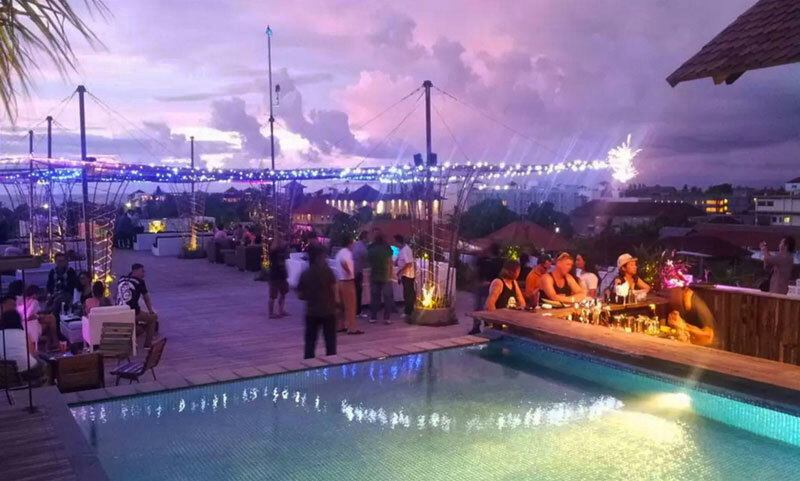 More than just a bar, and certainly a must-visit, UNIQUE Rooftop Bar is also well-known for its poolside bar, great service, and food! 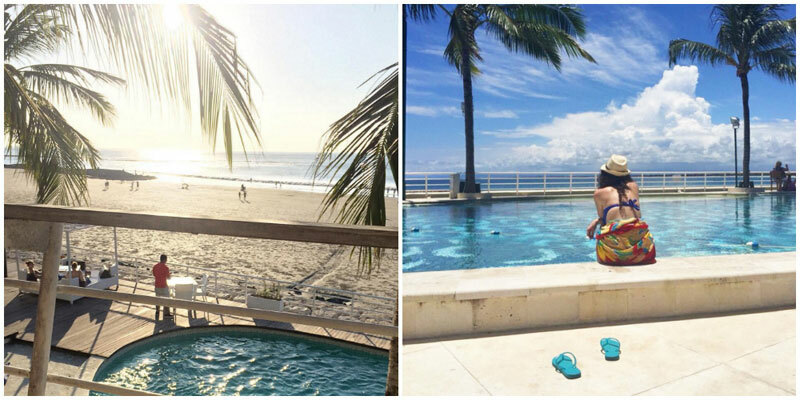 The seemingly-endless pool is also great for those interested in snapping jealousy-inducing pictures to share! 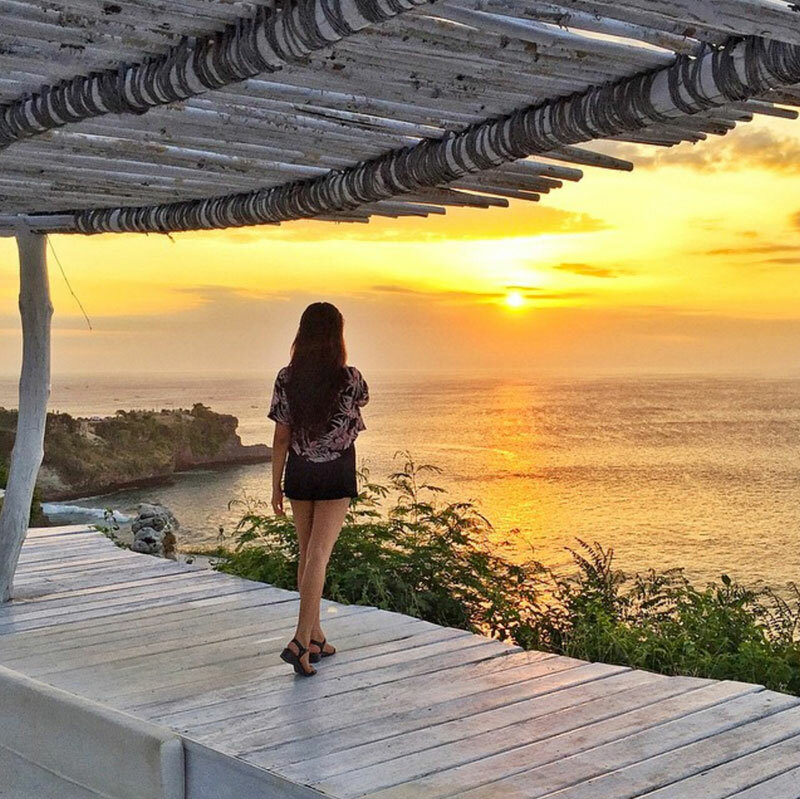 Also, if you are looking for a spot to view the sunset, the heightened bar will ensure you don’t miss the captivating view of Bali’s sunset. PS: Once you’re done with your meal, feel free to check out the grounds of the integrated resort, such as the beautiful (and private!) Kubu Beach, and more. 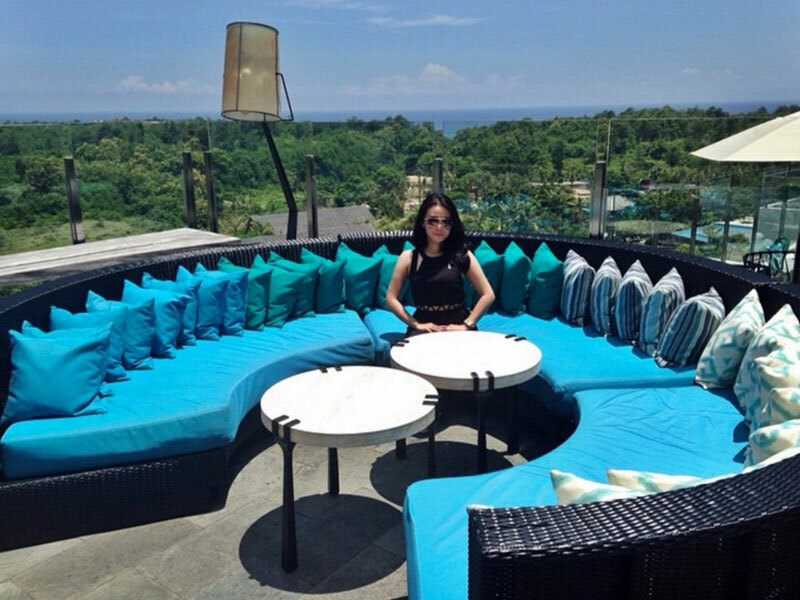 PPS: The famous Rock Bar is also located in RIMBA Jimbaran, if you are looking for a new dining experience – make sure you visit this bar located 14-meters above the Indian Ocean. 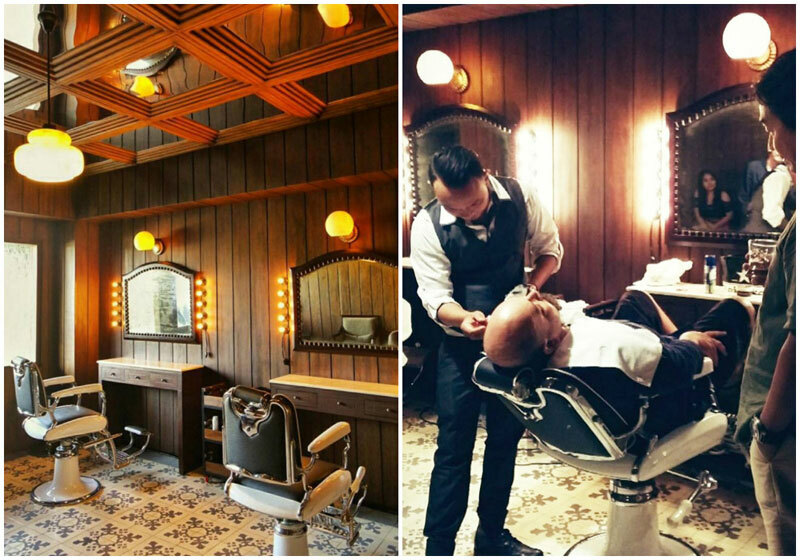 Introducing The BARber by The Sintesa Jimbaran Hotel. Interestingly named The BARber, the wordplay itself shows you a quirky vision of 2 unexpectedly combined concepts. 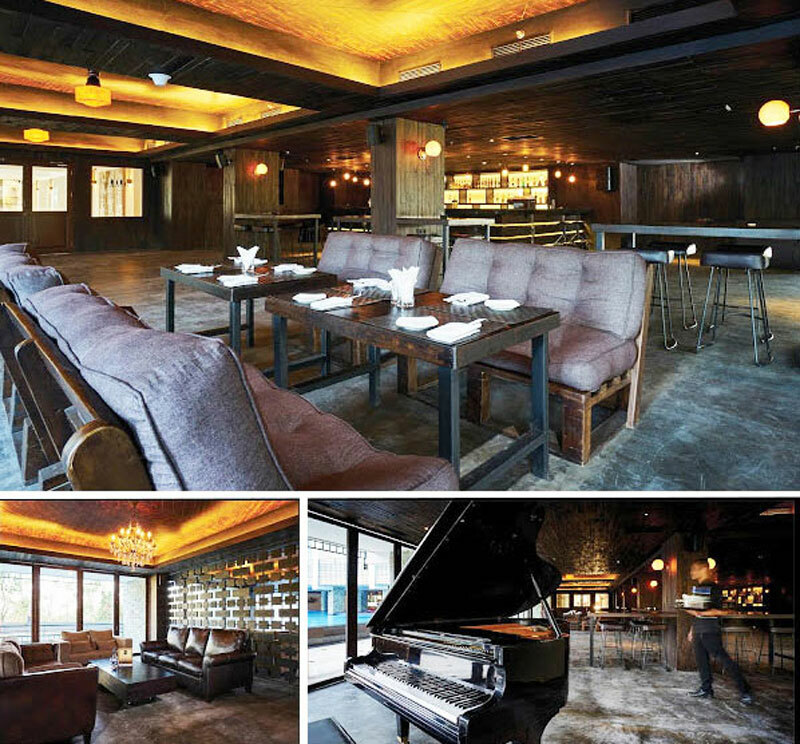 The bar does not disappoint with the 1930’s style that oozes class and comfort. 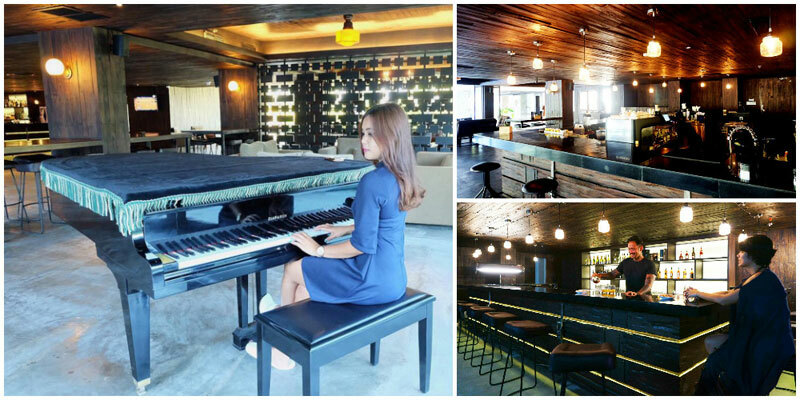 With wooden panels, leather sofas, a pool table and a grand piano, they only add to the uber luxurious vibes. The drinks are certainly not to be missed, with a wide variety of premium Whiskey, Vodkas, Wine and a fine collection of branded liquors. Whether your visit is for business purposes, or simply to kick back and take a sip, The BARber makes sure you have it all. 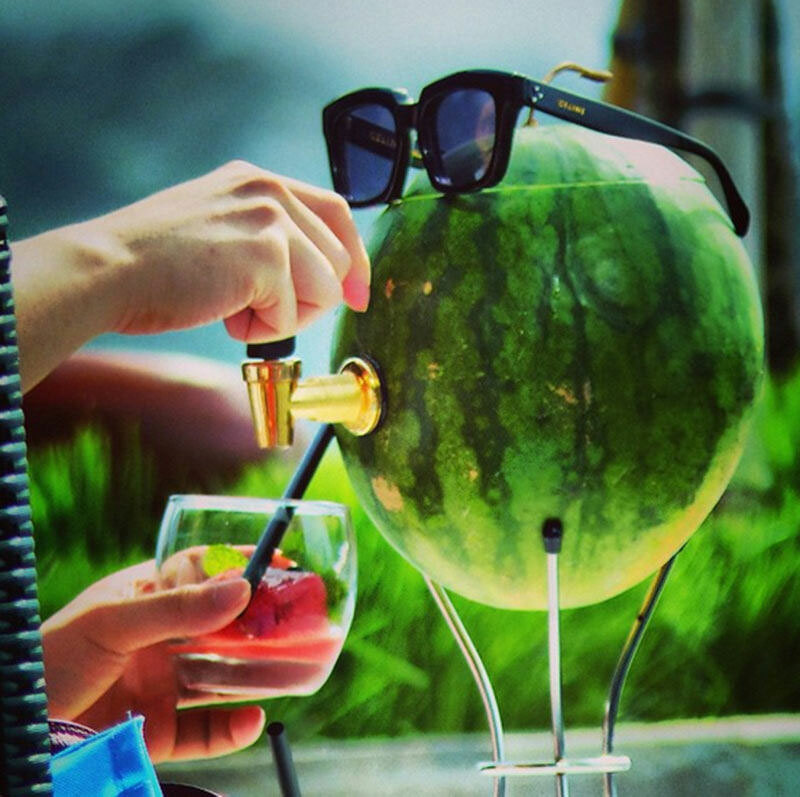 Also, BARber’s expert mixologist will delight you with a series of original cocktail concoctions, along with classic favourites – the perfect companion for delicious dishes such as pasta and sandwiches! 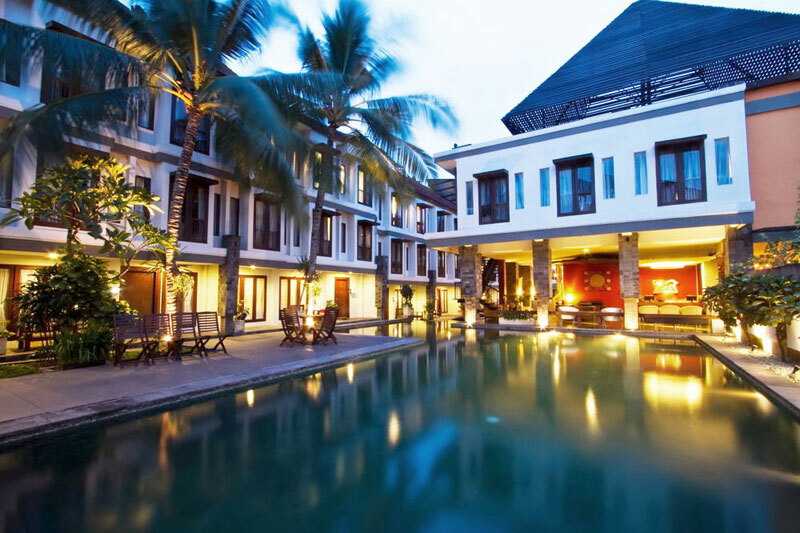 Located across Kuta Beach, and only a 13-minute walk away from the shops in Legian, Kuta Beach Heritage is definitely for those of you who want to get around Bali without any hassle. The 5-star hotel is even more enticing with its free pool access, with no minimum spending required. Whether it’s the chilling at the Surf Pool Bar, tipping back a drink or two at Bob and Louise Lounge Bar, or fine-dining at Riva Bar and Restaurant – all your needs are certain to be met. 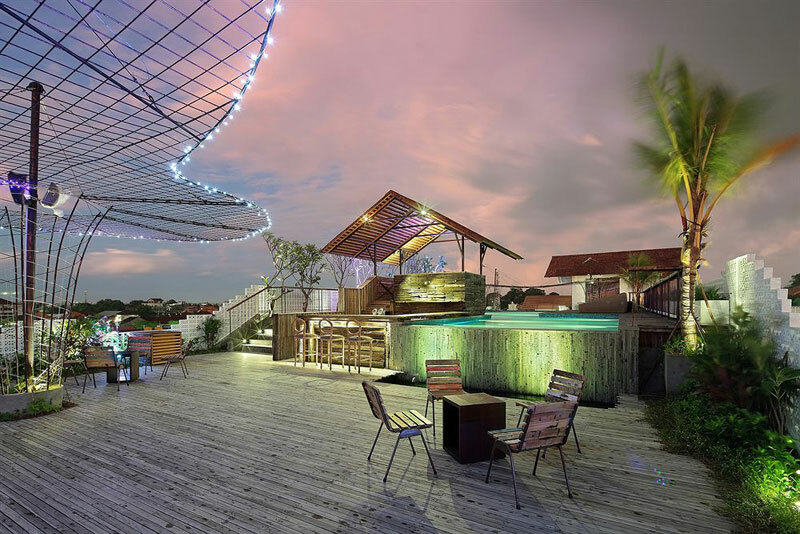 First, head to their Surf Pool Bar, located next to swimming pool and with a view of the Kuta Beach skyline. 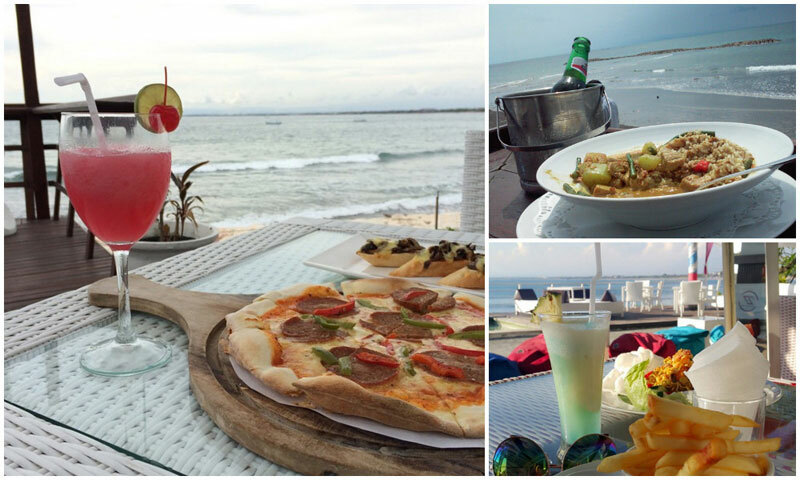 Famous for the sunset views, lounging at the rooftop bar that overlooks Kuta Beach is definitely not to be missed! 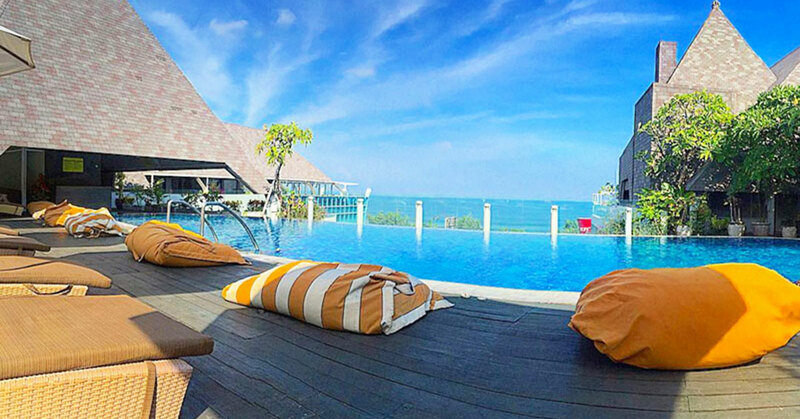 During the day, get your skin sun-kissed while lounging in provided beds with big cushions. 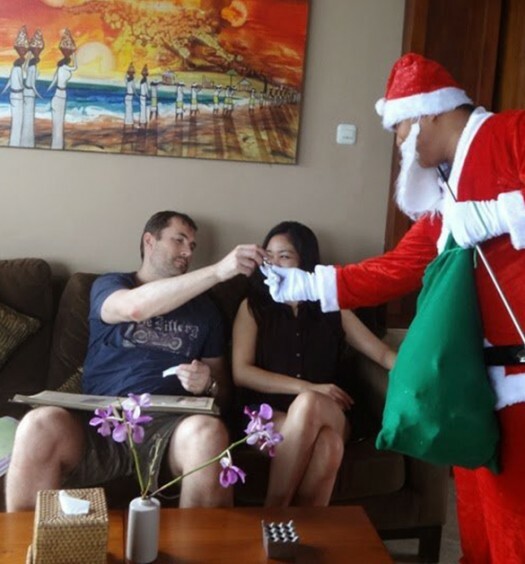 The staff will attend to you in a prompt fashion with any requests – whether it’s a towel, cocktail, or merely a snack. Next, if you’re an oenophilia, Bob and Louise Lounge Bar also offers fine wines, liquors, and martinis in addition to cocktails. 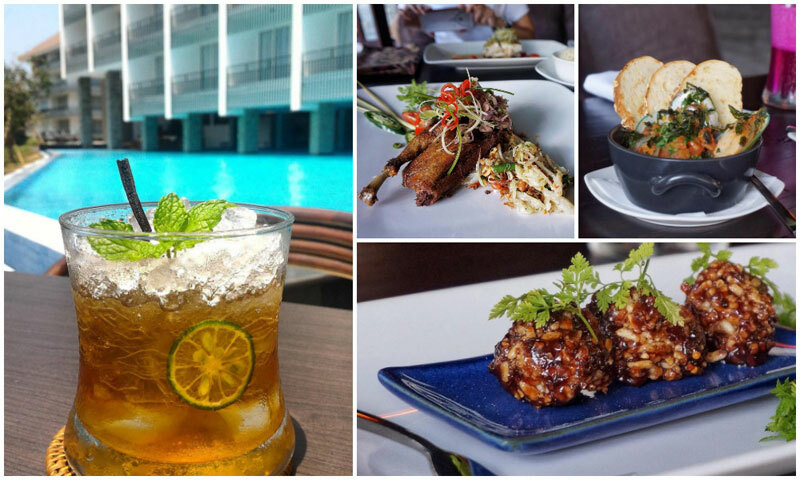 And finally, fine-dining is served at Riva Bar and Restaurant if you’re looking for a gastronomical night. 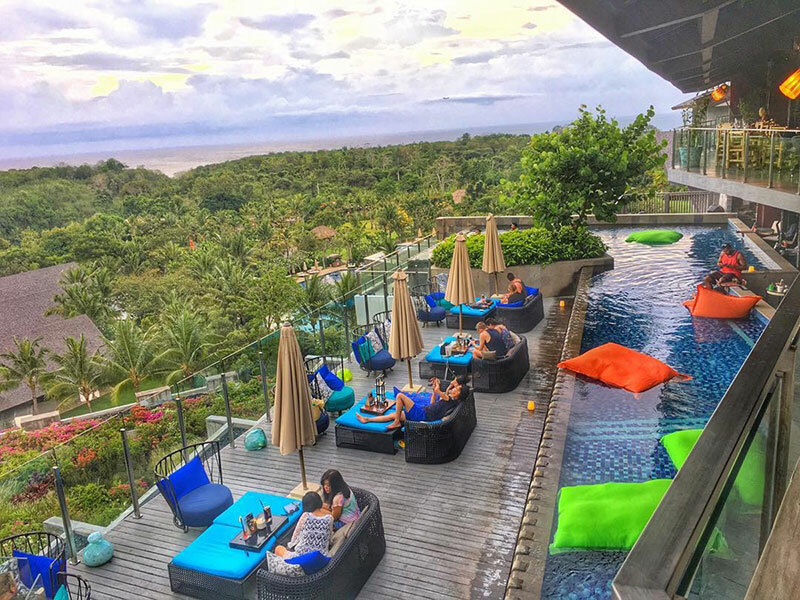 Managed by major hotels chain, Accor, The Kuta Heritage upholds a high standard when it comes to serving their guests, ensuring a pleasant experience here. If you happen to have more in your budget, Vertical Point is the place to go. 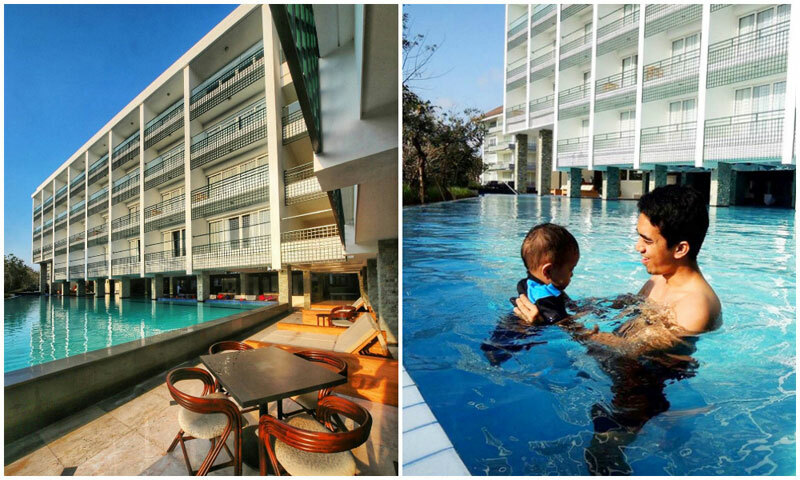 Located in Legian, one of Bali’s more luxurious areas, Vertical Point is located on the rooftop of 4-star hotel, The Akmani Legian – only 4km away from Legian beach and 6km away from Seminyak’s shopping and nightlife. When it comes to the view, Vertical Point has the upper hand with a to-die-for rooftop view. 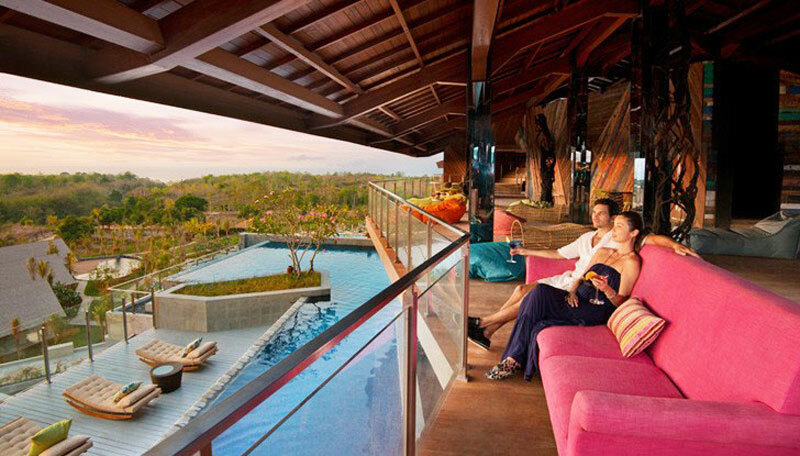 Especially at night, you will be presented with a breathtaking view of Bali from the top when all the lights are out. The best part is undoubtedly the free pool access with no minimum spending, and free internet access to share it all in real-time. The pool is especially well-lit at night, and oozing with romance. 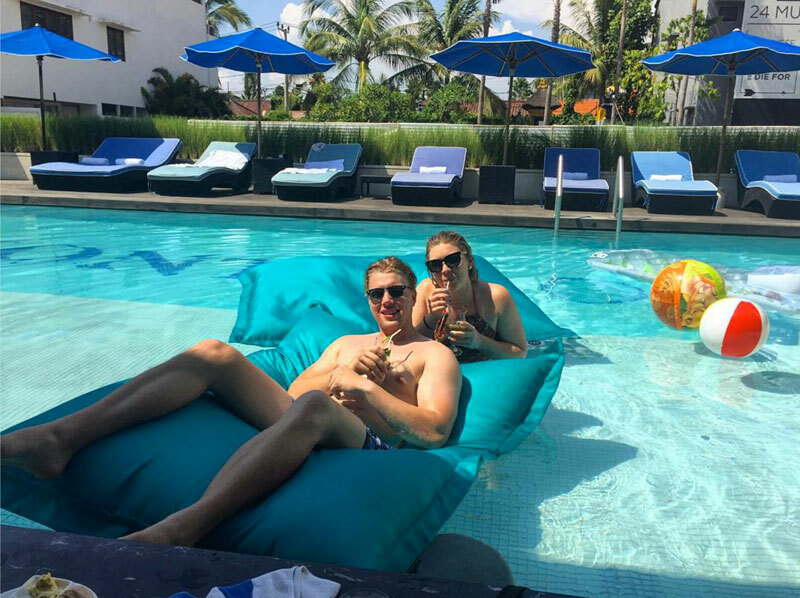 Whether you are staying in The Akmani Legian or not, if you are looking for a fantastic night out with a great view, romantic ambiance, and free pool access – Vertical Point is your answer. 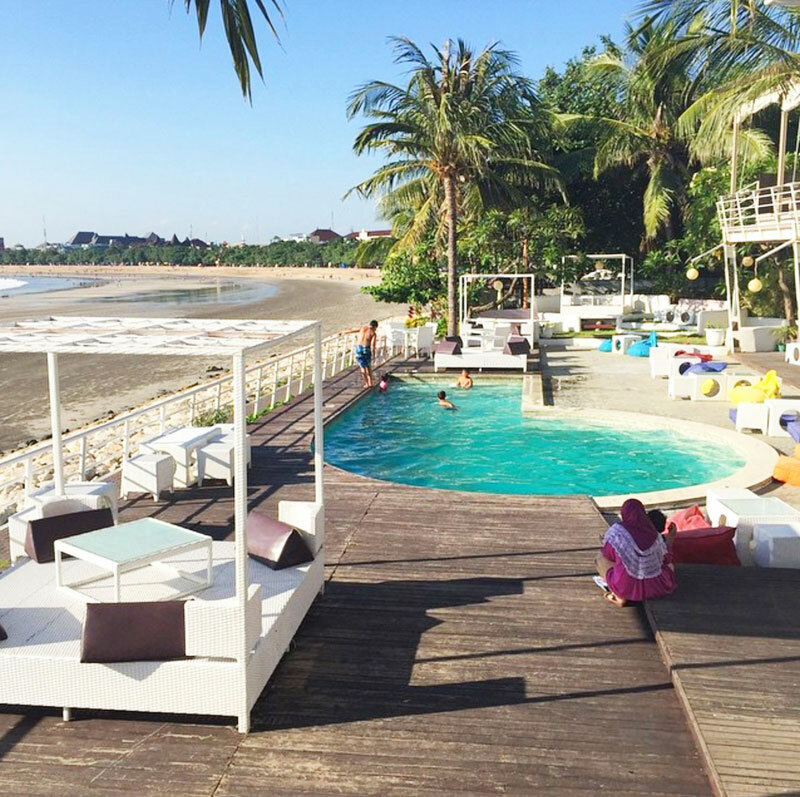 Add Montigo to your list of must-visit places in Seminyak. And there are at least 2 good reasons why you need to do so. #1. The restaurant of Montigo Resorts offers all-day dining with a huge variety of culinary delights. The live-cooking stations would satisfy your appetite with both Balinese and Asian foods. As long as you dine in the restaurant, you’ll get to enjoy free pool access with no minimum spending. If you’re feeling a bit lazy after a hearty meal, you can always go for a dip in the provided pool without any additional cost. A strategically-placed resorts, Montigo is a perfect place if you are looking for a place to spend the night or to dine. However, you may find it surprising that the pool is a bit less private and overlooked from the restaurant and the street. 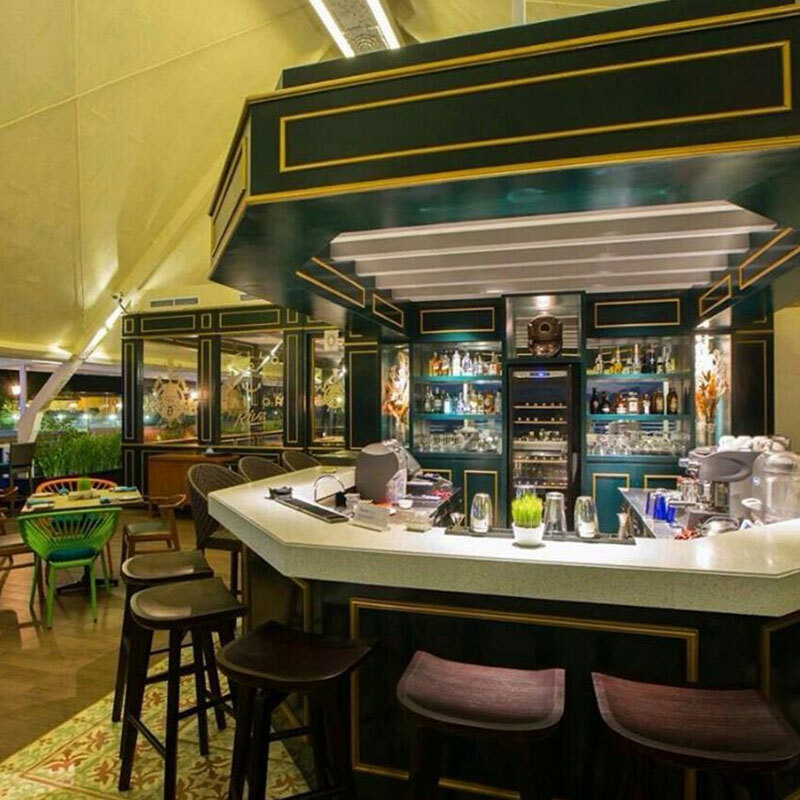 Nevertheless, the bar is surely buzzing at night, so you’ll have a ton of fun! #2. 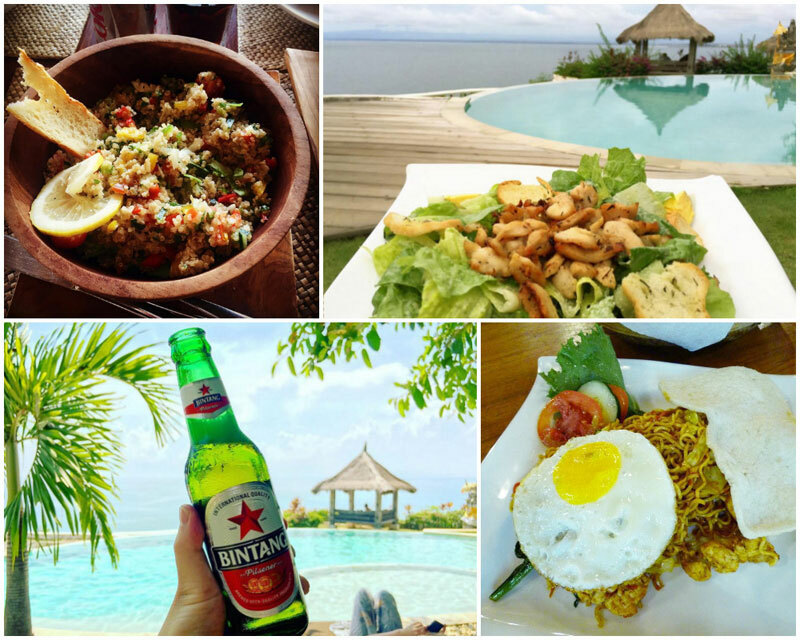 If you have done your prior research about Bali, the name Potato Head may be very familiar. Potato Head Beach Club is one of the hottest places among local and international tourists thanks to its beach views and lively music. The good news? Montigo is located right beside Potato Head. So if you feel like partying after an afternoon swim, just grab your sandals and you’re ready to go! 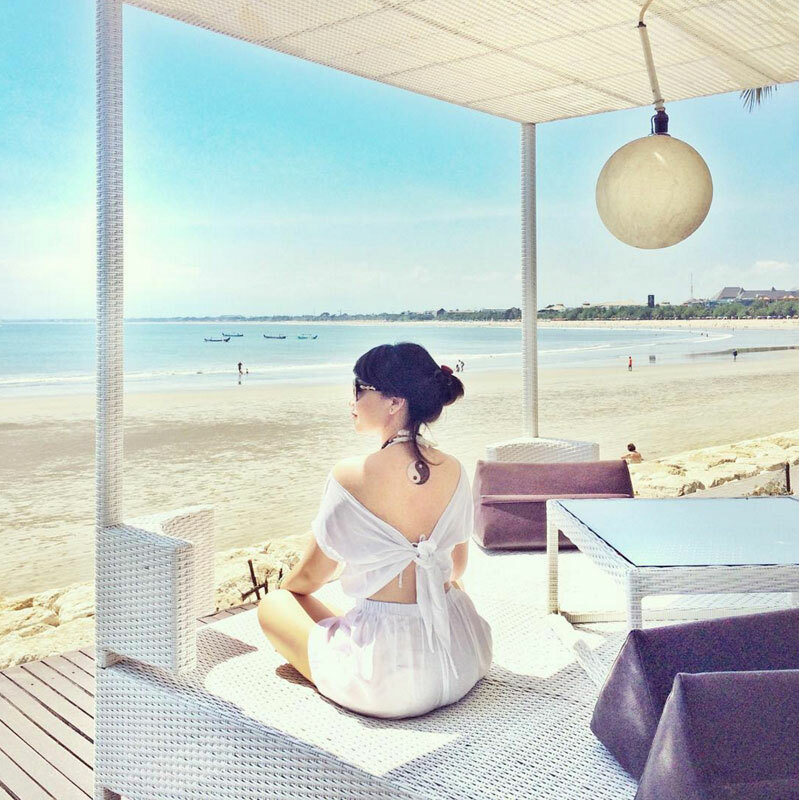 Montigo Resorts is also 7-minute-walk away from Seminyak Beach and 10-minute away from Seminyak Square where you can shop ‘till you drop. 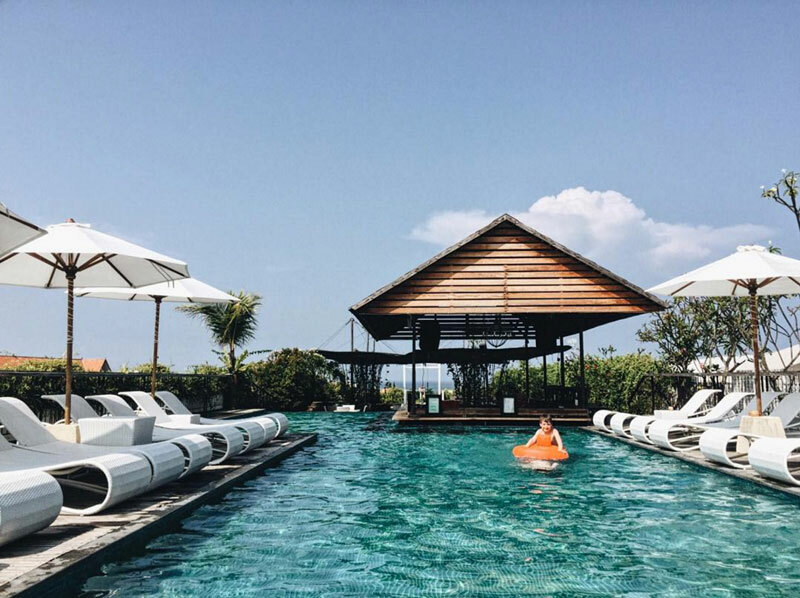 If you’re an avid fan of shopping in Bali, you may have heard of Discovery Mall; one of the most well-known shopping centers in Bali with direct access to the beach. Between the mall and the beach though, you will be able to find a wide variety of beach clubs, restaurants, and bars throughout. One beach club you can find right away? Oceans27. 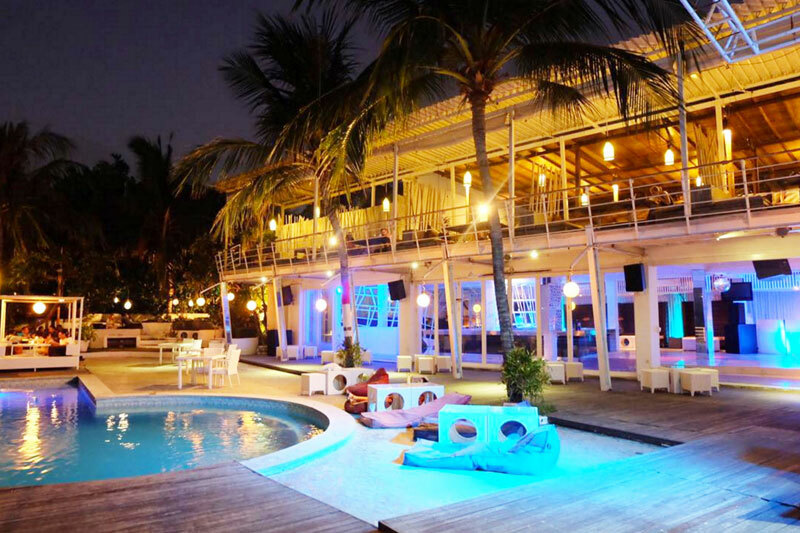 Dubbed as the most popular beachfront club, Oceans27 comes to life especially at night. Regardless, you may enjoy their free pool access with no minimum spending, from 10am to 10pm all week. 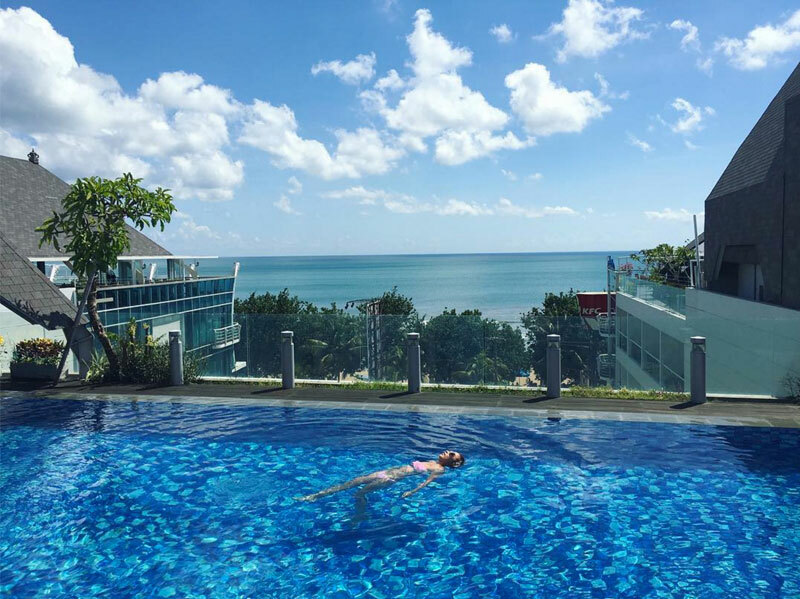 During the day, Oceans27 is a perfect spot for tanning on provided beds, or simply for lounging around the Jacuzzi pool. 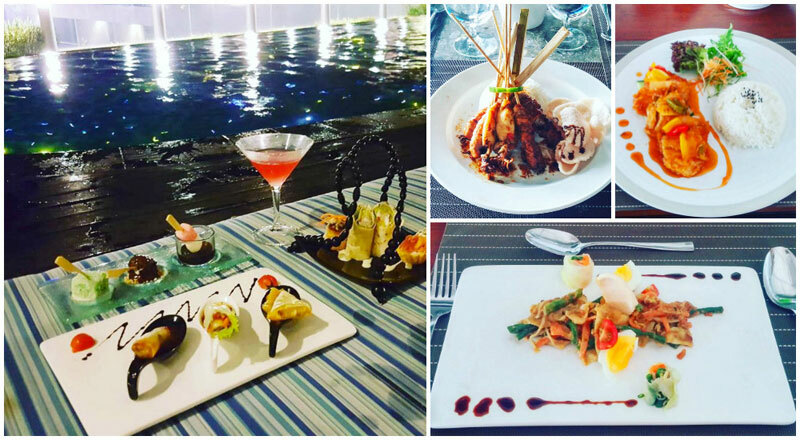 When you’re hungry, an extensive menu with both Modern-Continental and Asian cuisine is available for your pickings! Once night falls, enjoy special sunset chill-out sessions accompanied with music by local DJs while gazing at the orange streaked sky. And when it’s night, party hard with famous local and foreign DJs that will liven up what might be your favourite night in Bali. 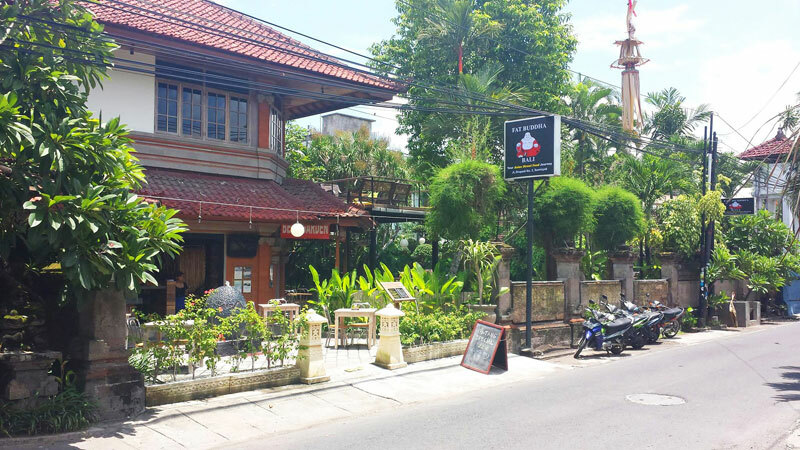 Not to be mistaken with Laughing Buddha Bar that is located in Ubud, this restaurant that specialises in Asian street food is located in Seminyak! Fat Buddha is especially popular among those who would like to experience a real taste of Asian cuisine. Here, you may a pleasant lunch or dinner amidst tropical garden settings. 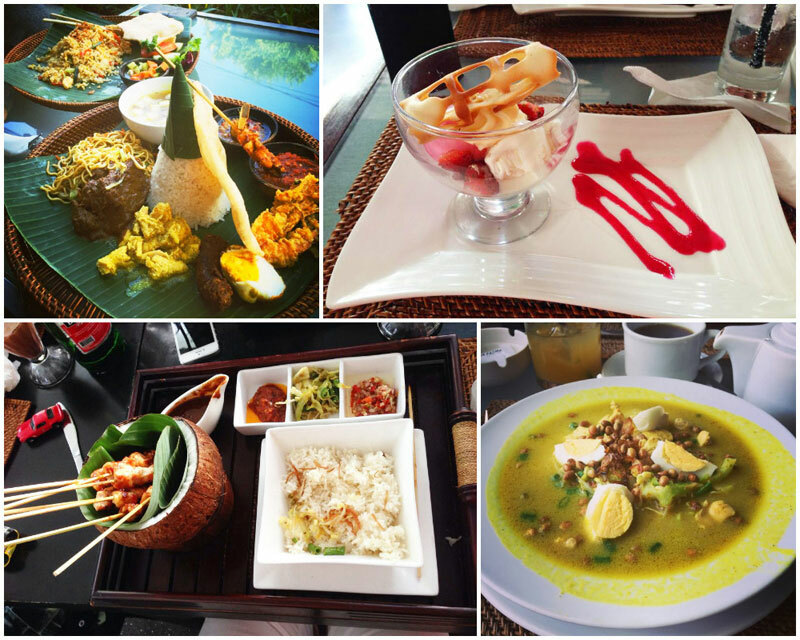 Both Indonesian, Malaysian, and other Asian cuisines are served here, in contrary to most bars that serve Western and Mediterranean dishes. The free pool access will also lure you in, especially since there is no minimum spending required. However, don’t expect too much, since the pool may not be as vast as you expect. Regardless, a cold drink and a hearty lunch will surely sate your appetite, and you can simply lounge in the pool until you feel like going somewhere else. 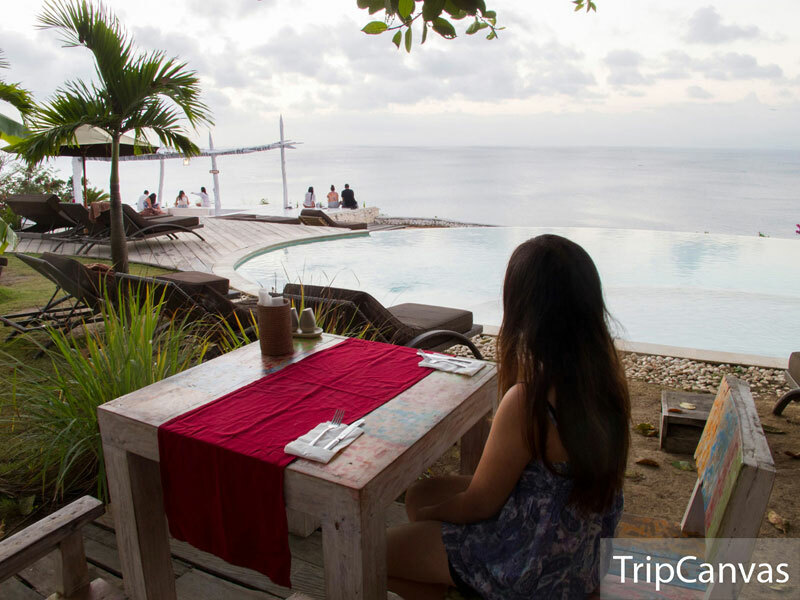 Located in Casa Padma hotel, Drops Resto is your number one to-go place if you’re looking for a place to enjoy both Mediterranean and local dishes, as well as local Balinese coffee. 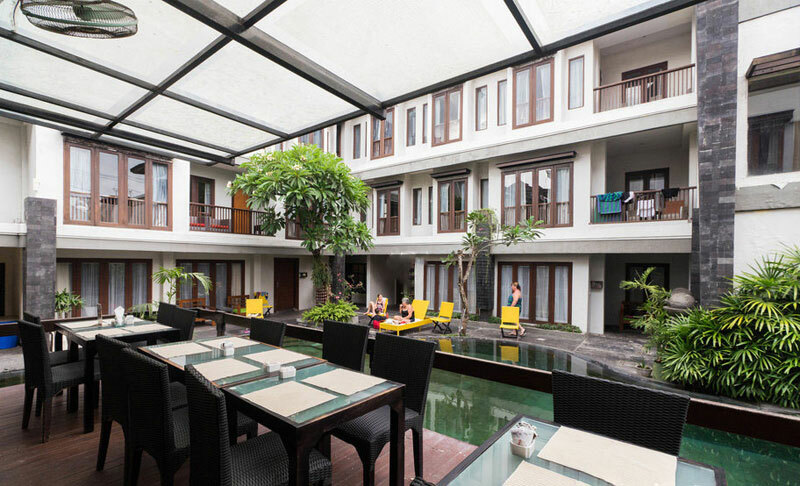 Named after the street it’s located on, Casa Padma offers 2 kinds of dining experience, with Drops Resto and The Swim-Up Bar. In the Drops Resto, a pool table is also free of charge for hotel guests and restaurant visitors. 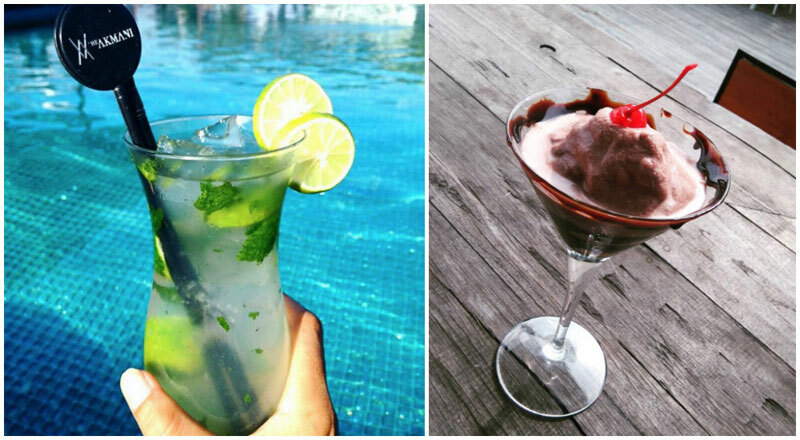 The Swim-Up Bar also allows you to cool off with refreshing drinks provided by the bartenders, while swimming in the swimming pool! 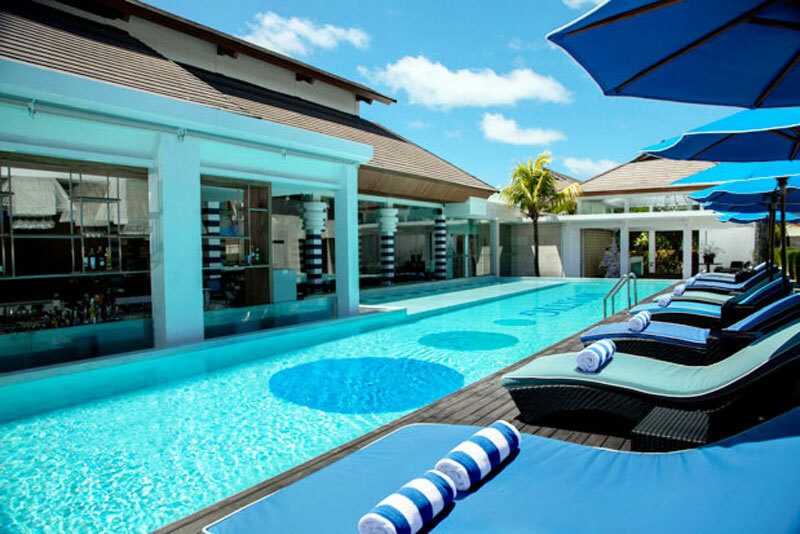 For both the resto and swim-up bar, no minimum spending is required to enjoy free pool access. And if you’re coming, it may be better to come alone, or with a small group of friends to avoid being turned away on busy days. 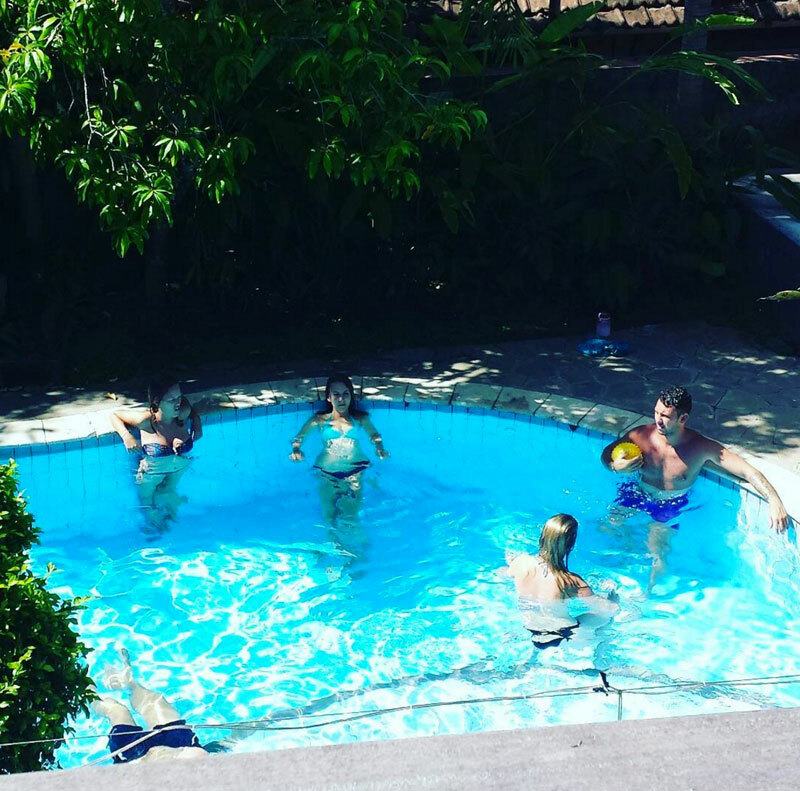 Due to the size of the pool (which is not very large), it wouldn’t be recommended for bigger groups. The 3-star hotel surely offers a satisfying service worthy of a 5-star review, but you may want to find a better place for big parties. 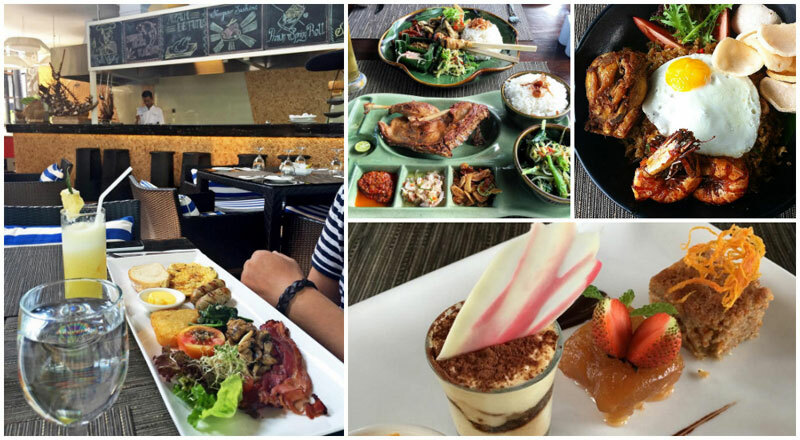 Segara Asian Grill, located on the Discovery Shopping Mall Beachfront, is a popular name among foreign and local visitors alike when it comes to savory Asian grill. 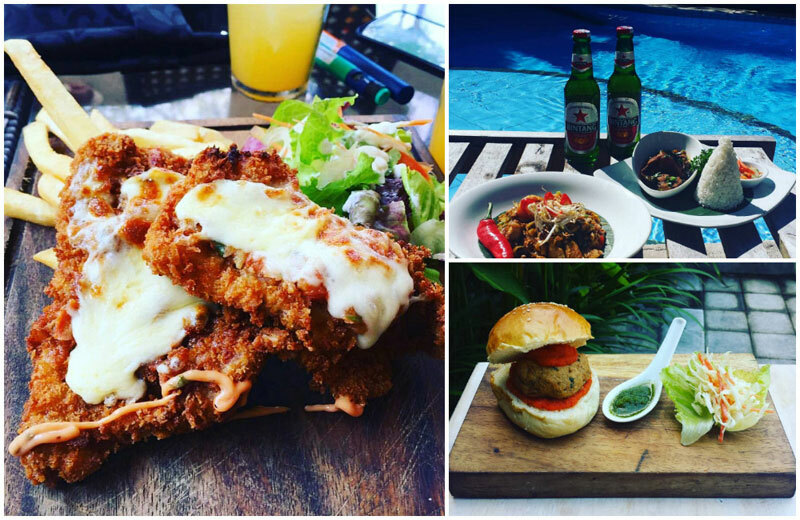 The mall itself is packed with beach bars and clubs, but Segara stands out thanks to its concept of Asian snacks and meals only. For families, Segara also offers kid’s drinks, mostly made of fruits and contains no alcohol. Appetisers, salads, soups and curries, as well as desserts are also in the menu in addition to the signature grilled meals. Even more alive when it’s late, Segara serves you better with lively performances of dancers, DJs, and traditional dancers on special nights. The free pool access is a plus point, since you don’t have to spend a certain amount of money to enjoy it. However, you may want to go for a dip earlier on lunch hours, since the pool is less crowded around that time. 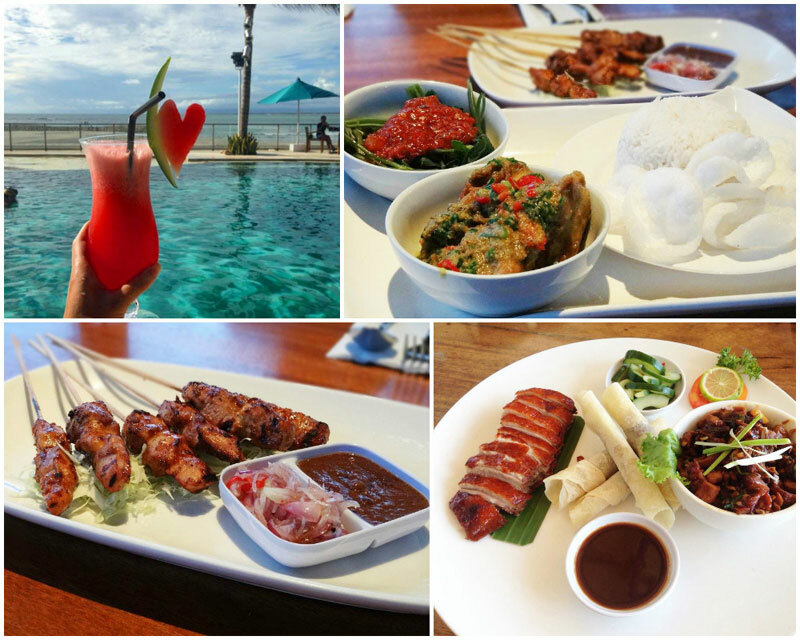 In conclusion, if you want to try out one of the best Asian grill restaurants in Bali while waiting for the sunset in the pool – Segara should be on your list. 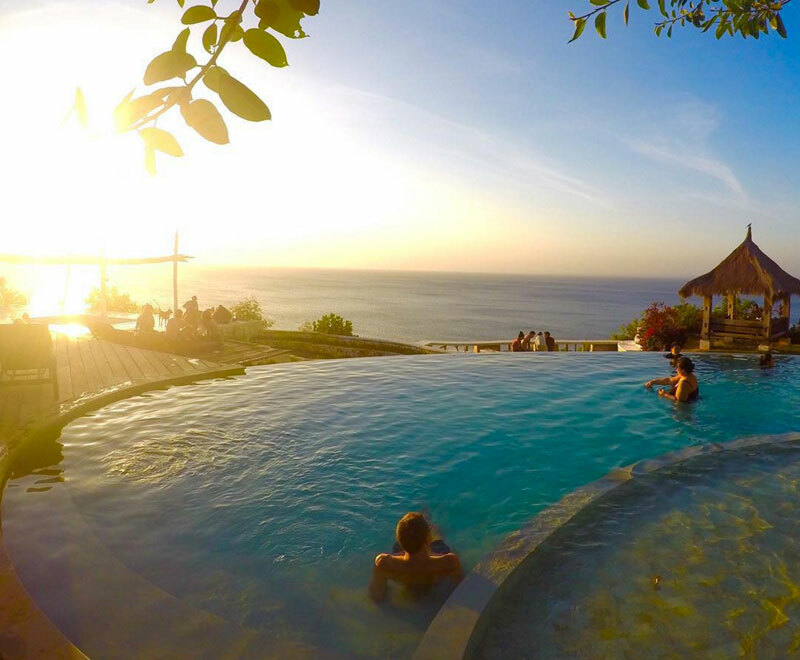 This list of 11 restaurants in Bali with free pool access will surely come to handy – especially if you are planning to visit Bali but aren’t planning to splurge on a hotel with swimming pool facility. 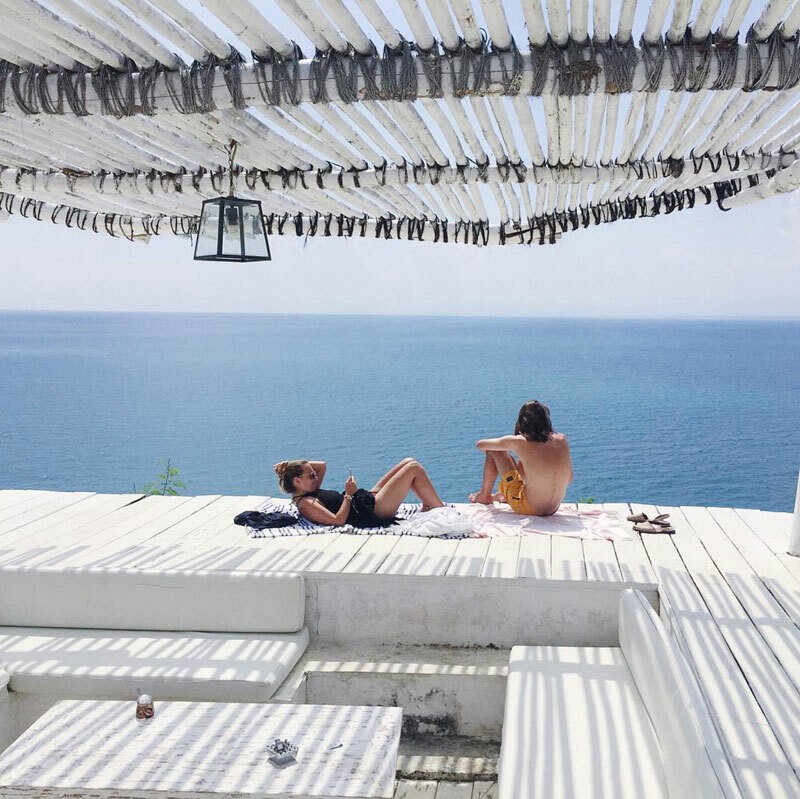 Instead, come and dine at any of the 11 places above and bring along your swimwear! An Indonesian native with great command over English. Language enthusiast who speaks Korean and German on top of Bahasa Indonesia and English. Part-time writer; full-time wanderer. Join me as I explore the archipelago of Indonesia.